The Federal High Court, Maiduguri, yesterday upheld the election of Alhaji Muhammad Imam, as the 2019 Governorship Candidate of the Peoples Democratic Party (PDP) . The Presiding Judge, Justice Jude Dagat, in a ruling, dismissed the case instituted by Alhaji Muhammed Wakil, challenging the declaration of Imam as the party’s governorship flag bearer in the 2019 election. Dagat held Wakil failed to establish his case within the provisions of the Electoral Act governing the conduct of primary election by political parties. The Judge added that the court based on presentation of the parties in the case, investigations and proof of evidence before it, held that the election was conducted in compliance with the provisions of the Electoral Act and guidelines of the party. Dagat further said that Section 87 (9) of the Electoral Act empowers the National Working Committee (NWC) of political parties, to set up electoral committee to conduct primary election, and not the state executive of the party. The judge, therefore, declared that the election of Imam was legal and valid. It will be recalled that Wakil had in a suit No: FHC/MG/CS/52/2018 asked the court to nullify the election of Imam, as the PDP’s gubernatorial candidate. 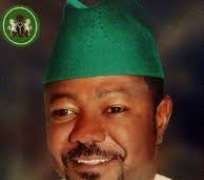 Those joined in the case were the PDP, INEC, the state chairman of the party, its secretary and two others. Wakil also prayed for an injunction, restraining the PDP and INEC from recognising Imam as its candidate and an order to declare him as the valid governorship candidate. Mr A.I. Bello, the Lead Counsel to Wakil, argued that Imam was elected in an election conducted by the Zannan Gaddama’s faction of the PDP, which was not recognised by the court. Bello argued that the election of Imam violated the court order, and null and void. However, Mr Okechukwu Ezede, the Lead Counsel to the Imam, while commenting on the verdict, said the case lacked merit and the court dismissed it on several grounds. Edeze argued that the case was not filed within the confine of the law and in repugnant to section 87 (9) of the electoral act. He explained that the court’s ruling was based on the decision of superior court which affirmed that issues of holding primary election was the responsibilities of NWC and not state executives of the party. “The plaintiff case is predicated on the interpretation of previous judgement of the court which is not within the provisions of the electoral act. “The court could not under this section of the electoral act accommodate a case that has to do with previous judgement or order. The case is not squarely within the confine of the electoral act. “Under the section, aggrieved aspirants were not permitted to bring issues relating to party officials, congresses and previous judgement. “Aggrieved aspirants should seek redress in court when they feel that provisions of the electoral act were not observed and not complied in the conduct of primary election by political party,” Edeze said.